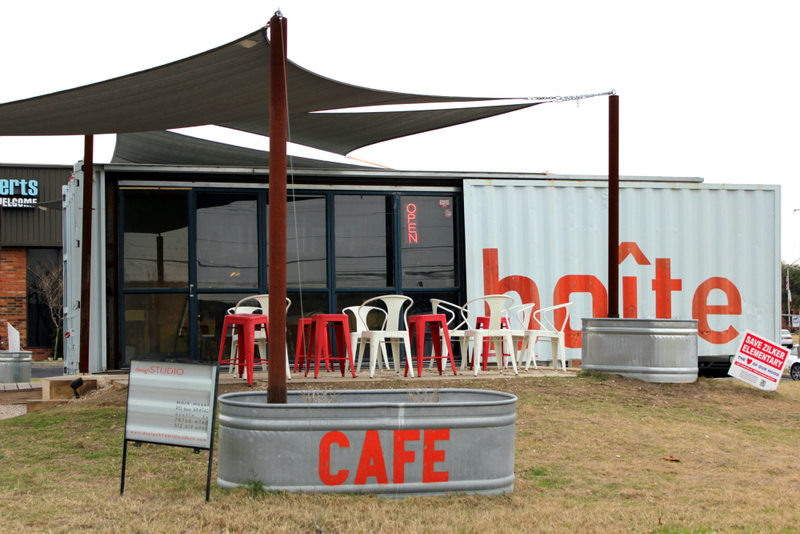 La Boite was selling dynamite pastries out of a shipping container before shipping container construction was cool. They've recently expanded to two boxes - one on South Lamar a few blocks south of the Highball, and the other on Congress, just across the street from the Capitol. First off, the container. Not the easiest thing to heat or cool, shipping containers are otherwise near zero footprint - there's millions of them floating around out there, retired from their original gig, now quietly rusting and taking up space. La Boite was at the vangaurd of a movement to upcycle these containers, and founded on the idea that you could sell good food out of a beautiful, if compact space without using up a bucket load of finite resources. The box places them in the middle ground of the trailer food scene - La Boite is not going anywhere in a hurry, but they're also not exactly brick and mortar establishment. Austin, meet pop up food. The container is cool, but it's just, well, a box. The good stuff is the baked goods therein. For La Boite, that means baked goods from Barrie Cullinan. "Wait", you ask, "THE Barrie Cullinan? The one who was named one of the 10 best bakers in the country by Bon Appetit?" Yes. That Barrie Cullinan. La Boite is one of a very few outposts in town where you can get her goods, and they come in a very small, but very tasty selection. 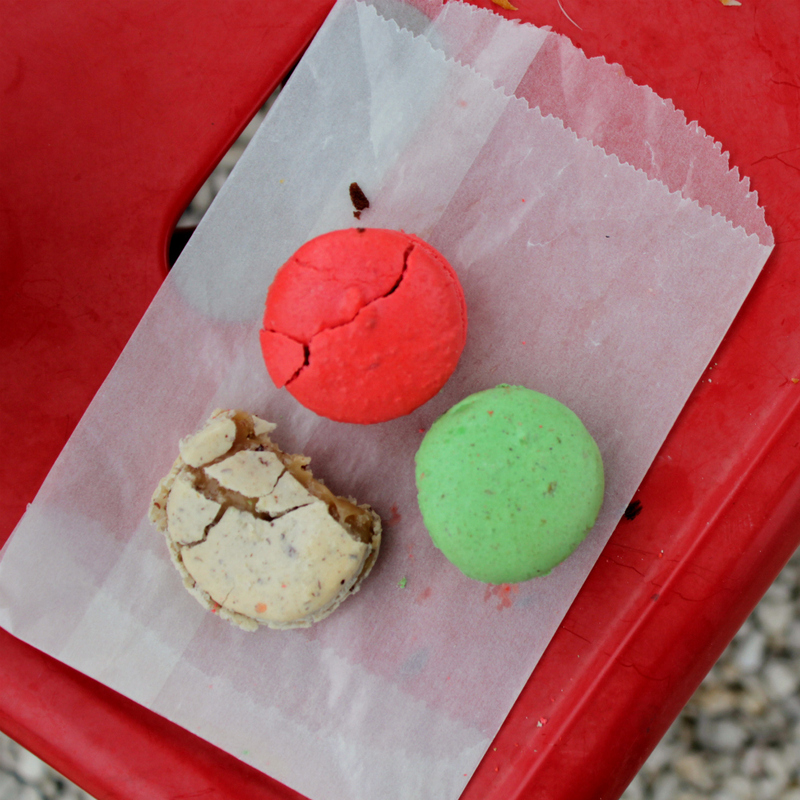 The standouts for me are the almond croissants and the macarons. The croissants are covered with powdered sugar and slivered almonds, and sport a million layers of butteriness inside. They hint of marzipan, and there is the faintist suggestion of a filling, but the essence of these are scented air and butter. The macarons are bolder than others I've had around town, almost iridescent in both color and flavor. When they have fruit flavors, you get a jolt of concentrated, jam-like essence. When it's salted caramel (like they had today), the salt is on equal footing with the sweet, balancing a huge amount of flavor. The salted caramel and chipotle chocolate were my faves of the current crop. The pastries are less fussy and more subtle than the also-amazing but totally-different Baguette et Chocolate, but they are on the same scale of delicious. They also make lovely sandwiches, and a handful of other pastries that rotate in and out, but to me the love is in the croissant. OK: Truth be told, I am a little nervous about a eating a sandwich from a place that has no kitchen, but people tell me they're awesome. Coffee is good, but relative to nearby knock-your-socks-off options like Medici and Once Over Coffee, not a reason for a visit. The beans are from local roaster Casa Brasil, and they've developed a custom Mexican blend in part based on the limited carbon footprint compared to shipping beans from further away. I like the sentiment, but they'd do better with a nice pour-over rig or a french press set up and some fresh ground Cuvee. In a town where empty lots were filled with food trucks, and are now starting to empty all over again as the trailers start to falter, I hope La Boite sticks around. It's a place that, despite its mobility, feels rooted in Austin in the simple goodness of the food, the optimism of the environmental mission, and the strong link to the local food community. Worth noting: There's amazing stuff being done with shipping containers all over now (like this gorgeous house, or the pop-up retail mall in London, or, somewhat less amazing, the proposed Seattle Starbucks). Ha ha!! I came across this the roundabout way! I asked La Boite to give me their baker's email address, so I could see if she could make eggless croissants for my egg-allergic kid. It started there!! And then I landed up in the Bon Appetit list.